Secrets and lies. They are everywhere: haunting her, tormenting her. In the midst of it all, he'd been her escape, her passion. The only person she'd trusted in six years. And then he'd made her doubt that trust, cutting her deeply. But as she'd once told him, she was damaged, not broken. She is ready to fight and not just for survival. She is fighting for the truth and she won't stop until she has it, not even for...him. Run to me. Not from me. 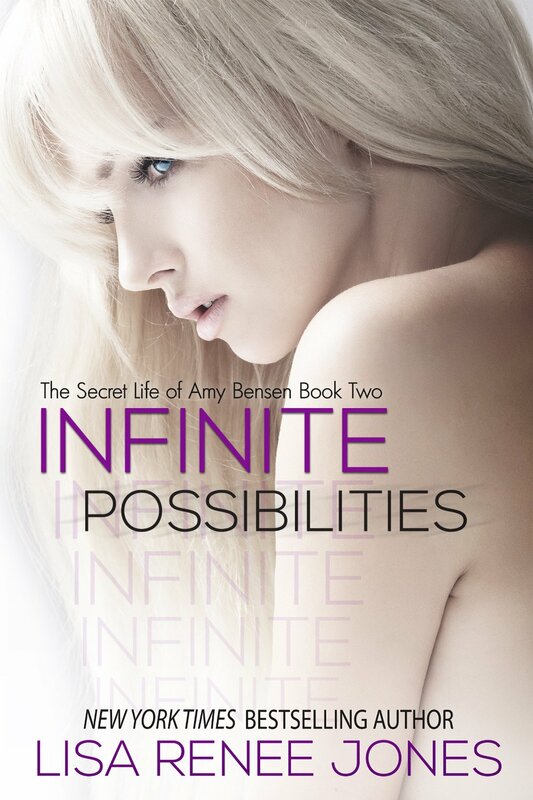 INFINITE POSSIBILITIES continues from where book one left off. I don’t want to give anything away by getting into the plot but I will say I’m still not sure who to trust. One big question did get answered- who her handler is and why he/she choose to help Amy. But we are still left wondering who the bad guys are and exactly why they want Amy dead. If you enjoy reading books where the alpha billionaire takes a younger female under his protection than this book is up your alley. It has a mix of mystery and suspense that keeps the reader guessing throughout the story. The only down fall is at the time of me writing this review there is no release date for the third book. It just list 2014 as the year it is expected to be released. If you aren’t a fan of cliffhangers and unfinished series than I suggest you wait to read this one until FORSAKEN hits the book stores.